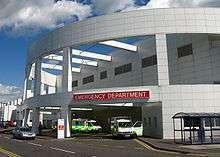 Emergency department became the recommended term when emergency medicine was recognised as a medical specialty, and hospitals and medical centres developed departments of emergency medicine to provide services. Other common variations include 'emergency ward,' 'emergency centre' or 'emergency unit'. Historical terminology still exists across the English-speaking world, especially in vernacular usage. The previously accepted formal term 'Accident and Emergency' or 'A&E' is still the accepted term in the United Kingdom, Commonwealth countries, and the Republic of Ireland, as are earlier terms such as 'Casualty' or 'casualty ward', which continue to be used informally. The same applies to 'emergency room' or 'ER' in North America, originating when emergency facilities were provided in a single room of the hospital by the department of surgery. Although the four-hour target helped to bring down waiting times when it was first introduced, since September 2012 hospitals in England have struggled to stick to it, prompting suggestions that A&E departments may be reaching a limit in terms of what can be achieved within the available resources. In July 2014, the QualityWatch research programme published in-depth analysis which tracked 41 million A&E attendances from 2010 to 2013. This showed that the number of patients in a department at any one time was closely linked to waiting times, and that crowding in A&E had increased as a result of a growing and ageing population, compounded by the freezing or reduction of A&E capacity. Between 2010/11 and 2012/13 crowding increased by 8%, despite a rise of just 3% in A&E visits, and this trend looks set to continue. Other influential factors identified by the report included temperature (with both hotter and colder weather pushing up A&E visits), staffing and inpatient bed numbers. Many A&E departments are crowded and confusing. Many of those attending are understandably anxious, and some are mentally ill, and especially at night are under the influence of alcohol or other substances. Pearson Lloyd's redesign - 'A Better A&E' - is claimed to have reduced aggression against hospital staff in the departments by 50 per cent. A system of environmental signage provides location-specific information for patients. Screens provide live information about how many cases are being handled and the current status of the A&E department. Emergency department overcrowding is when function of a department is hindered by an inability to treat all patients in an adequate manner. This is a common occurrence in emergency departments worldwide. Overcrowding causes inadequate patient care which leads to poorer patient outcomes. To address this problem, Lakeland Regional Medical Center successfully implemented several techniques in 2011 to improve emergency department efficiencies. 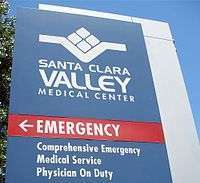 The emergency department reorganized space into pods, made staffing changes to facilitate patient flow, required emergency medical service personnel to provide advance notice of ambulance arrivals so that a bed could be preassigned, and had a multidisciplinary team develop and use care plans for non-emergency patients who repeatedly present with chronic pain issues. Waiting times are drastically reduced in free-standing emergency departments. These are not attached to a hospital, so they are not encumbered by hospital policies that lead to long wait times in a hospital-based ER setting. Frequent presenters are persons who will present themselves at a hospital multiple times, usually those with complex medical requirements or with psychological issues complicating medical management. These persons contribute to overcrowding and typically require more hospital resources although they do not account for a significant amount of visits. To help prevent inappropriate emergency department use and return visits, some hospitals offer care coordination and support services such as at-home and in-shelter transitional primary care for frequent presenters and short-term housing for homeless patients recovering after discharge. According to a survey at an urban inner-city tertiary care centre in Vancouver, 57% of health care workers were physically assaulted in 1996. 73% were afraid of patients as a result of violence, almost half, 49%, hid their identities from patients, 74% had reduced job satisfaction. Over one-quarter of the respondents took days off because of violence. Of respondents no longer working in the emergency department, 67% reported that they had left the job at least partly owing to violence. Twenty-four-hour security and a workshop on violence prevention strategies were felt to be the most useful potential interventions. Physical exercise, sleep and the company of family and friends were the most frequent coping strategies. ↑ "A&E departments". NHS Choices. NHS. Retrieved 2 February 2015. ↑ Wier LM, Hao Y, Owens P, Washington R. Overview of Children in the Emergency Department, 2010. HCUP Statistical Brief #157. Agency for Healthcare Research and Quality, Rockville, MD. May 2013. ↑ Emergency Department Visits by Persons Aged 65 and Over: United States, 2009-2010. Hyattsville, Md. : U.S. Department of Health and Human Services, Centers for Disease Control and Prevention, National Center for Health Statistics, 2013. ↑ Kindermann D, Mutter R, Pines JM. Emergency Department Transfers to Acute Care Facilities, 2009. HCUP Statistical Brief #155. Agency for Healthcare Research and Quality. May 2013. ↑ Kowalczyk, Liz (13 September 2008). "State orders hospital ERs to halt 'diversions'". The Boston Globe. ↑ Kowalczyk, Liz (24 December 2008). "Hospitals shorten the waits in ERs". The Boston Globe. ↑ Gresser, Joseph (18 November 2009). "NC president found hospital a "pleasant surprise"". Barton, Vermont: the Chronicle. p. 21. 1 2 3 Weiss AJ, Wier LM, Stocks C, Blanchard J (June 2014). "Overview of Emergency Department Visits in the United States, 2011". HCUP Statistical Brief #174. Rockville, MD: Agency for Healthcare Research and Quality. ↑ Mayhew, Les; Smith, David (December 2006). Using queuing theory to analyse completion times in accident and emergency departments in the light of the Government 4-hour target. Cass Business School. pp. 2, 34. ISBN 978-1-905752-06-5. Retrieved 2008-05-20. ↑ Blunt, Ian. "Why are people waiting longer in A&E?". QualityWatch. Nuffield Trust & Health Foundation. Retrieved 2 February 2015. ↑ Blunt, Ian. "Focus on: A&E attendances". QualityWatch. Nuffield Trust & Health Foundation. Retrieved 2 February 2015. ↑ "NHS Winter 2014-15: Weekly A&E tracker". BBC. BBC News. Retrieved 2 February 2015. ↑ "An alternative guide to the urgent and emergency care system in England". The King's Fund. The King's Fund. Retrieved 2 February 2015. 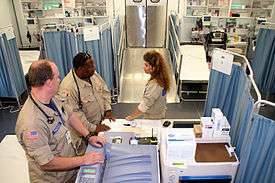 ↑ "A&E department redesign 'cuts aggression by half'". Design Week. 28 November 2013. Retrieved 13 December 2013. ↑ "Statewide Health Information Exchange Provides Daily Alerts About Emergency Department and Inpatient Visits, Helping Health Plans and Accountable Care Organizations Reduce Utilization and Costs". Agency for Healthcare Research and Quality. 2014-01-29. Retrieved 2014-01-29. ↑ "Emergency Medical Technicians Use Checklist To Identify Intoxicated Individuals who Can Safely Go to Detoxification Facility Rather Than Emergency Department". Agency for Healthcare Research and Quality. 2013-03-13. Retrieved 2013-05-10. 1 2 Aacharya RP, Gastmans C, Denier Y (2011). "Emergency department triage: an ethical analysis". BMC Emergency Medicine. 11: 16. doi:10.1186/1471-227X-11-16. PMC 3199257 . PMID 21982119. Retrieved 2011-12-09. ↑ Trzeciak S, Rivers EP (September 2003). "Emergency department overcrowding in the United States: an emerging threat to patient safety and public health". Emergency Medicine Journal (EMJ). 20 (5): 402–5. doi:10.1136/emj.20.5.402. PMC 1726173 . PMID 12954674. Retrieved 2011-12-09. ↑ "Comprehensive Bundle of Strategies Improves Emergency Department Turnaround Time, Reduces Boarding Time and Patients Leaving Without Being Treated". Agency for Healthcare Research and Quality. 2013-06-05. Retrieved 2013-06-06. ↑ "Ontario's emergency room waiting time strategy.". Ontario Ministry of Health and Long Term Care (2008). Retrieved 2015-08-15. ↑ Thomas A. Sharon (2015-09-07). "Shortening Emergency Department Waiting Times through Evidenced-Based Practice". Locatible Health Tech Hub. Retrieved 2015-09-07. ↑ Markham D, Graudins A (2011). "Characteristics of frequent emergency department presenters to an Australian emergency medicine network". BMC Emergency Medicine. 11: 21. doi:10.1186/1471-227X-11-21. PMC 3267650 . PMID 22171720. Retrieved 2012-03-01. ↑ Mandelberg JH, Kuhn RE, Kohn MA (June 2000). "Epidemiologic analysis of an urban, public emergency department's frequent users". Academic Emergency Medicine. 7 (6): 637–46. doi:10.1111/j.1553-2712.2000.tb02037.x. PMID 10905642. Retrieved 2012-03-01. ↑ "Provider Team Offers Services and Referrals to Frequent Emergency Department Users in Inner City, Leading to Anecdotal Reports of Lower Utilization". Agency for Healthcare Research and Quality. 2013-05-27. Retrieved 2013-10-17. ↑ "Short-Term Housing and Care for Homeless Individuals After Discharge Leads to Improvements in Medical and Housing Status, Fewer Emergency Department Visits, and Significant Cost Savings". Agency for Healthcare Research and Quality. 2013-10-23. Retrieved 2013-10-23. 1 2 Fernandes CM, Bouthillette F, Raboud JM, et al. (November 1999). "Violence in the emergency department: a survey of health care workers". CMAJ. 161 (10): 1245–8. PMC 1230785 . PMID 10584084. Wikimedia Commons has media related to Emergency department.